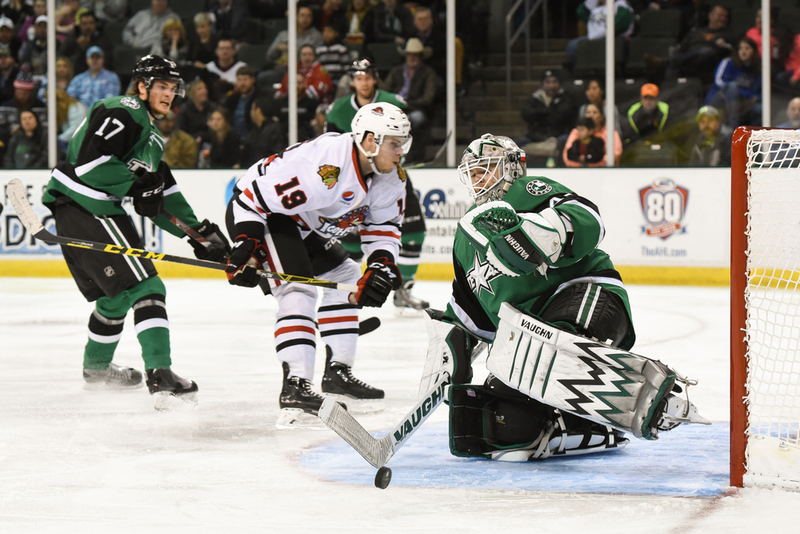 The Texas Stars faced the Rockford IceHogs again at Cedar Park Center last night. 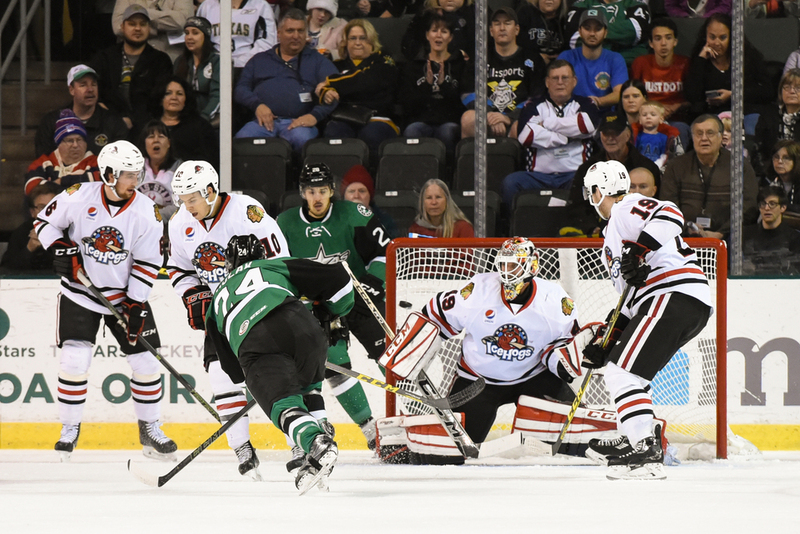 The IceHogs have been a tough team to beat for the Stars and once again the IceHogs came out on top at the end of the third period. A late extra man goal gave fans hope of taking the game to overtime but a total of 2 empty netters by the IceHogs ensured the visiting team the win. The first shot is the Stars' first goal in the game by Derek Hulak. The puck can be seen entering the goal on the blocker side. The second shot is Curtis McKenzie celebrating a goal by Jesse Blacker. Curtis was subsequently knocked into the net with a cheap shot crosscheck. The third shot is John Muse keeping the puck out of the net on a shot in the third period.